This tight-leaved shrub has many tube-shaped red flowers that are each about one inch (2.5 cm) long. The plant's name refers to the flower's ash-colored tips. 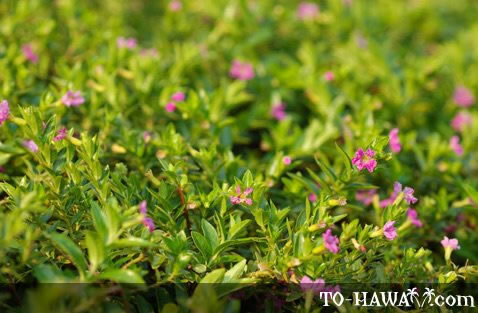 Hawaiians grew this plant beginning in the mid-19th century as a lei flower. A cigar flower lei is hard work because the flowers aren't strung down the tube's center, but speared across the middle.